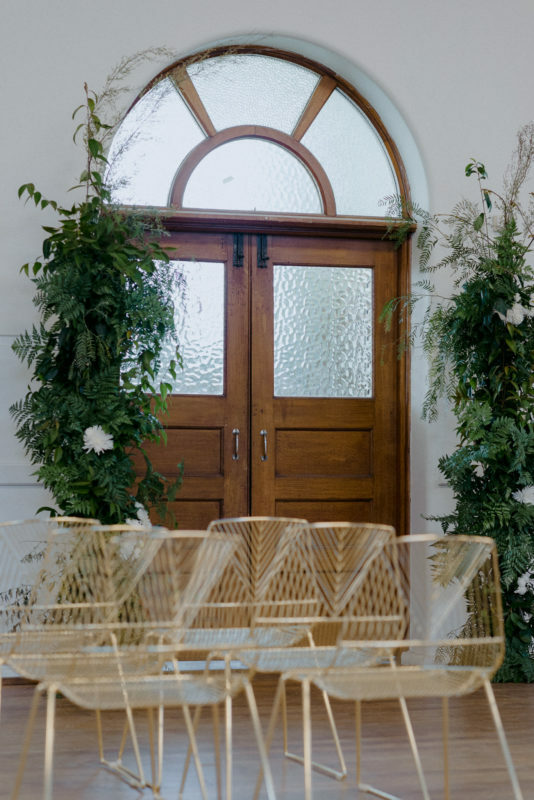 Styled shoots are a great opportunity to show that you can create beauty in any space with the right suppliers and vision for your wedding day. 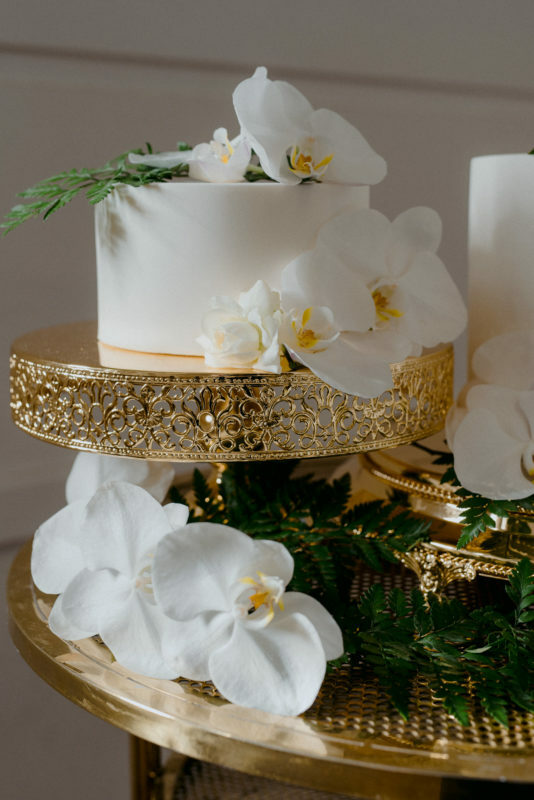 The inspiration for this regal and modern styled shoot was the recent royal wedding. 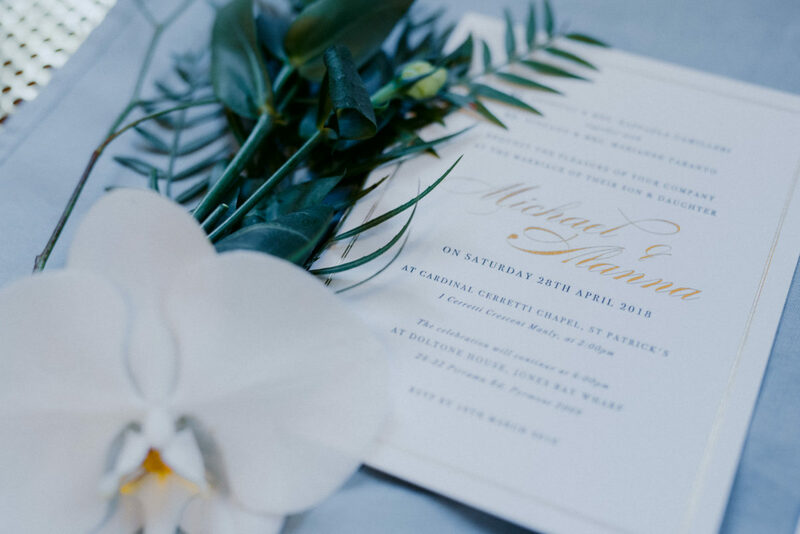 Harry and Meaghan will be rethinking their ideas once they see what wedding suppliers in the Riverina can do! 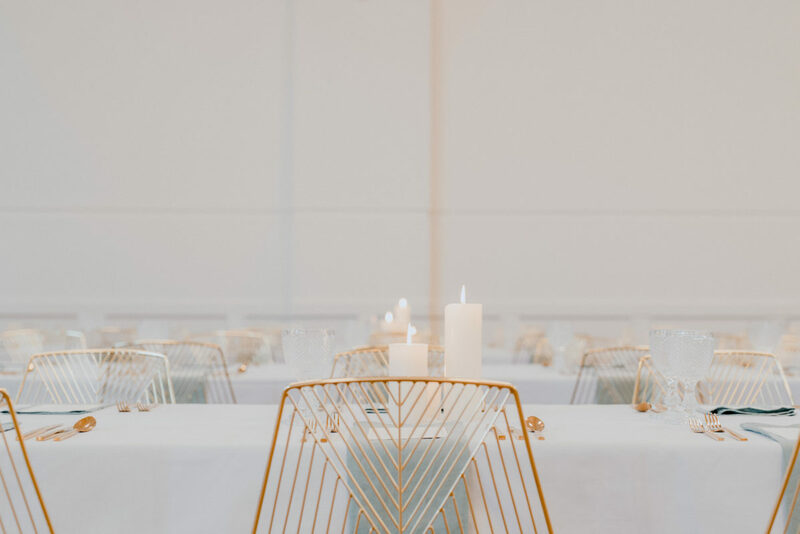 Emily + Victoria from Bang Event Co. are boss ladies with vision offering a modern and contemporary hire range and they have recently added a range of gold hire items to their offer. 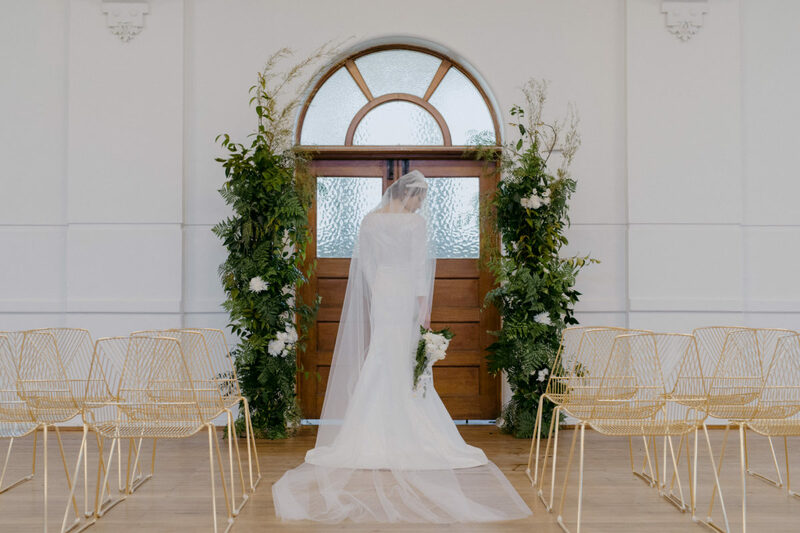 This range looked right at home in this beautiful and spacious hall right in the heart of Albury. 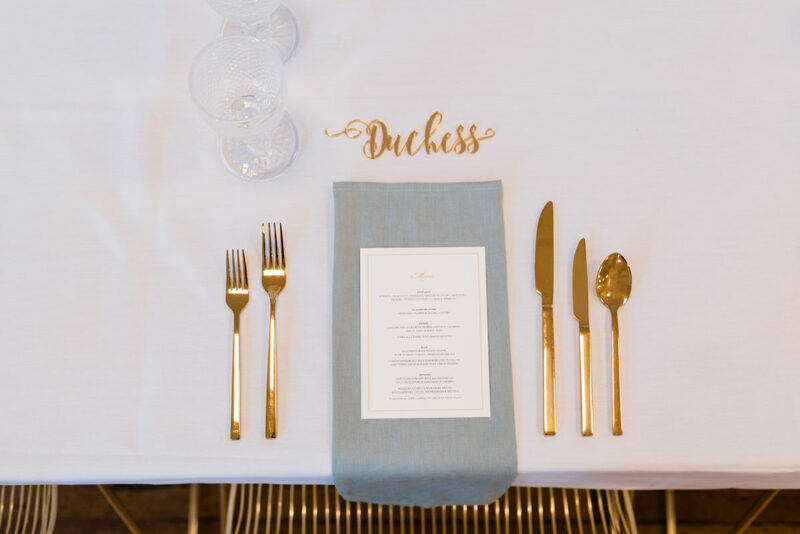 Influenced by the classic decor, gorgeous windows and ambience of the hall Bang Event Co. have styled this shoot using modern, light tones with gold and powder blue accents creating those regal feels. 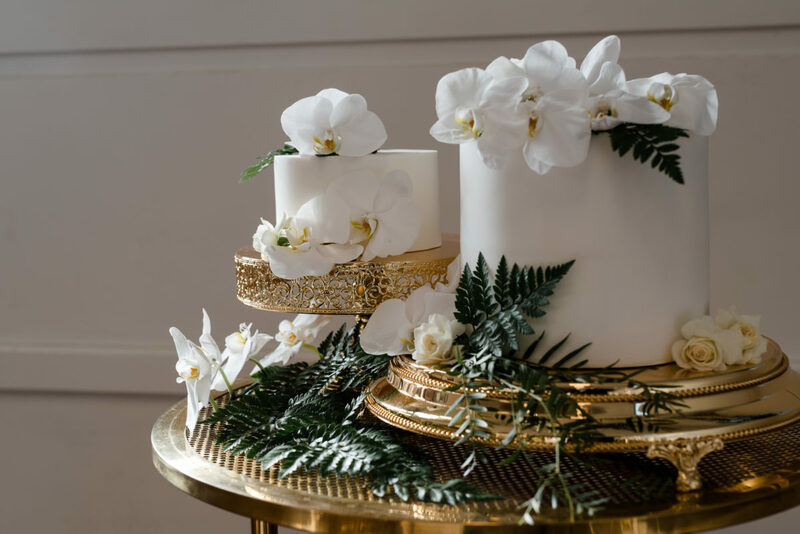 Golden age wedding styling with aristocratic touches like candles, goblets, gold cutlery, rich hand printed stationery, a gold cake table and stands draped with florals. 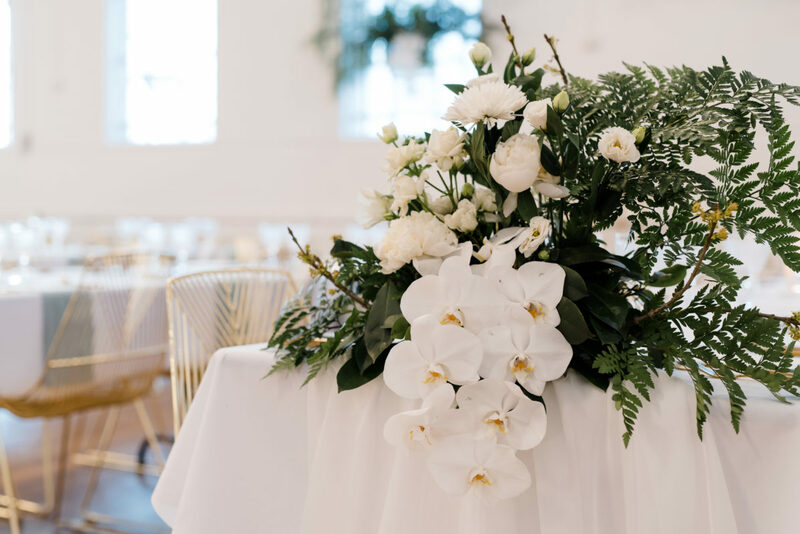 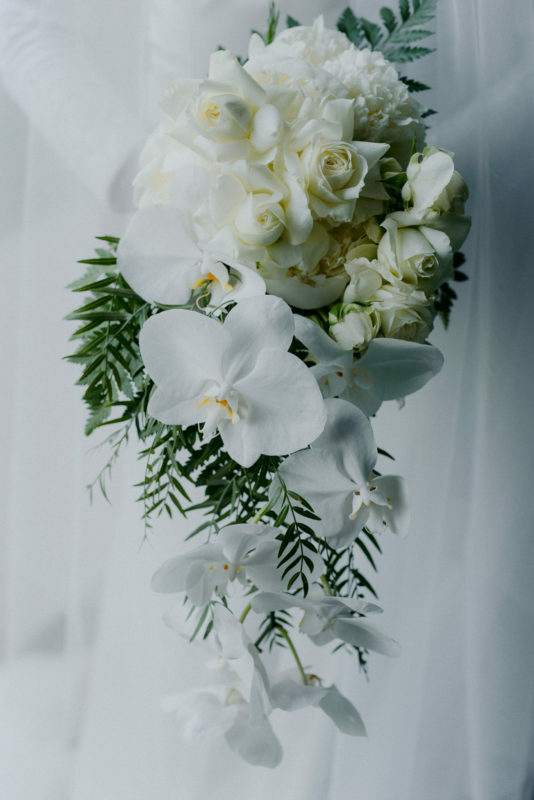 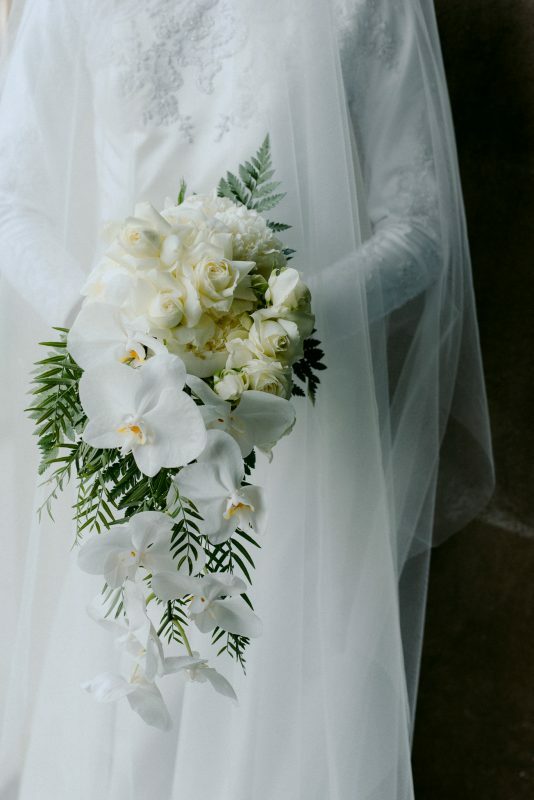 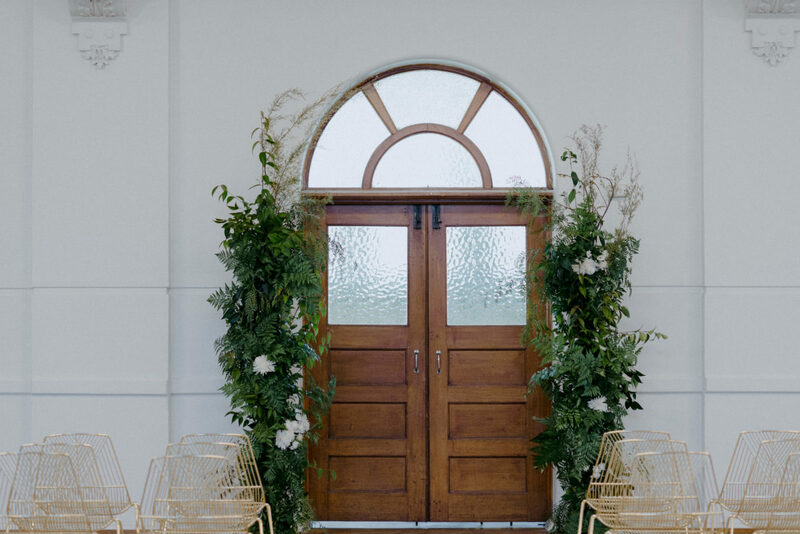 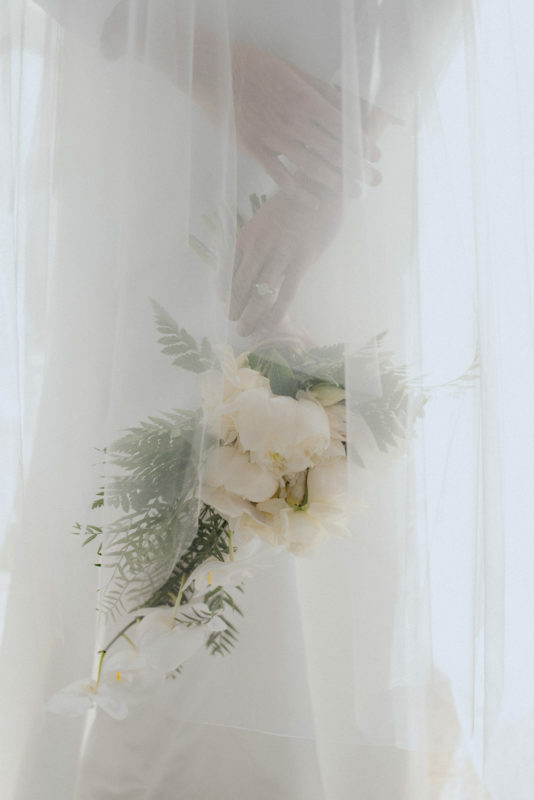 Kate Haynes from One Day In March – a one stop shop for florals, styling and co-ordination – crafted blooms fit for a regal celebration featuring a palette of fresh white and green and dripping with gorgeous orchids. 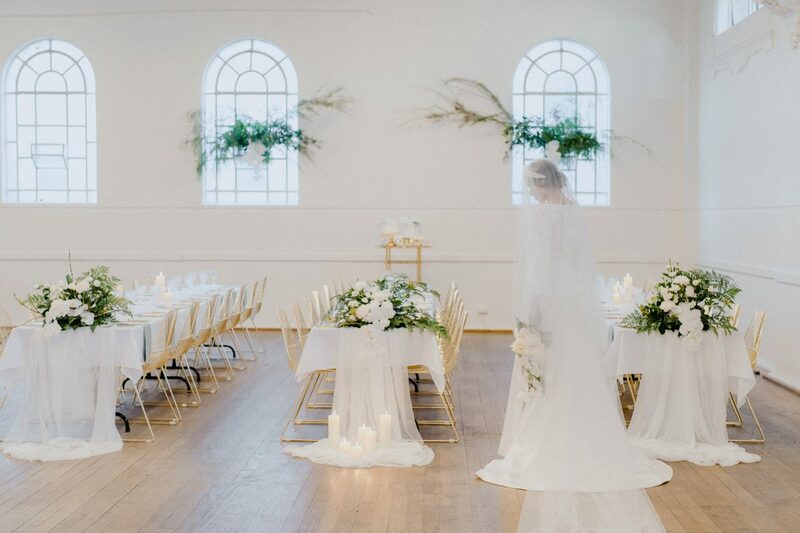 Two stunning arrangements for the windows framed the tables and a pair of sensational vertical arrangements for the altar. 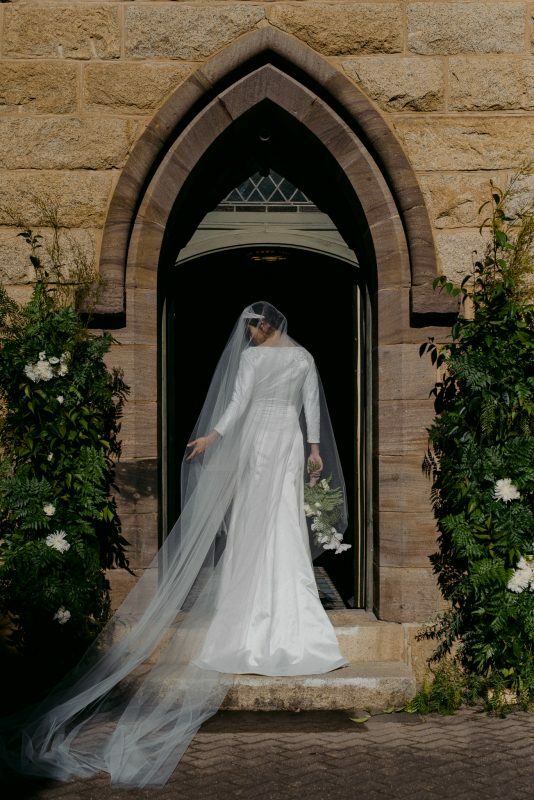 The Jillian Franklin Couture gown, with its elegant, clean lines, is fit for a Duchess on her day of days. 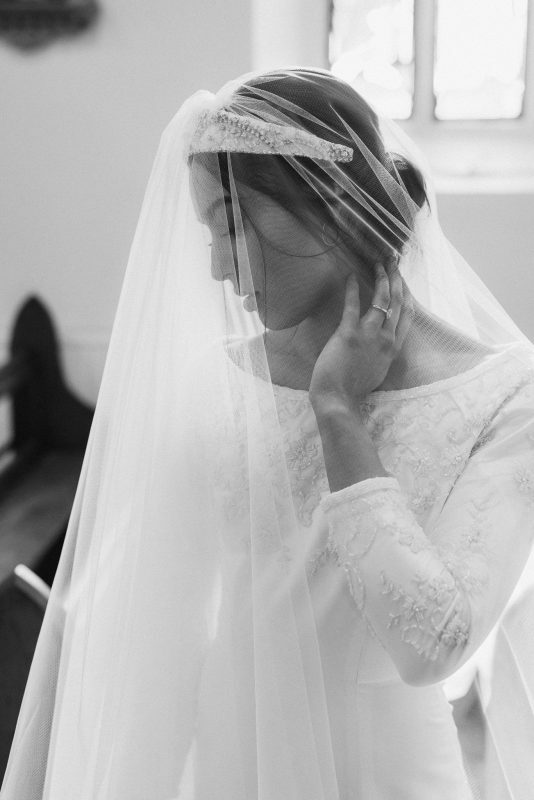 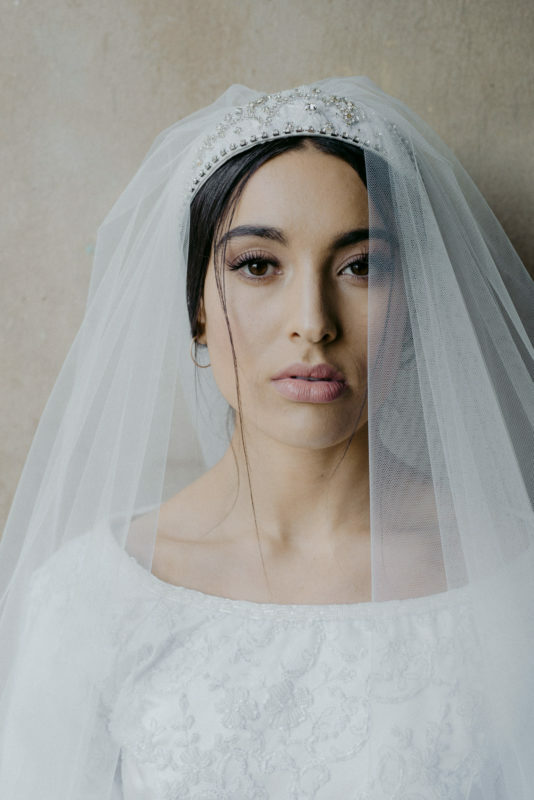 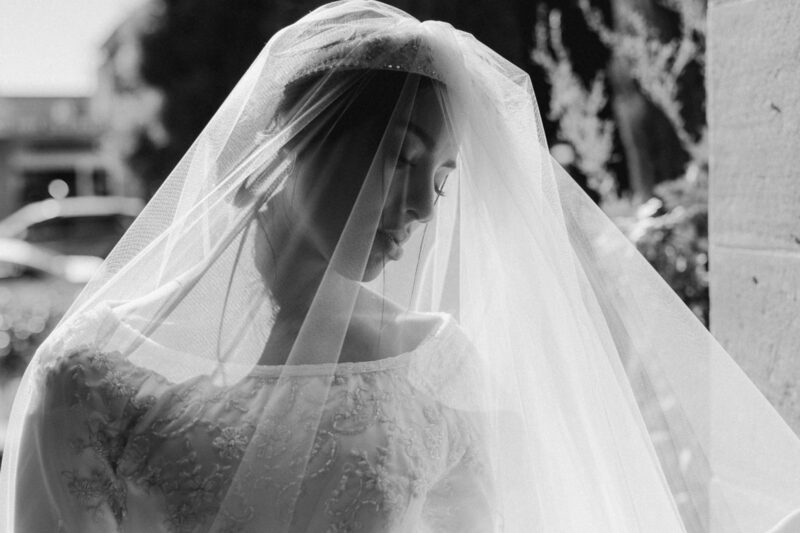 A hand made head piece with two tier veil by She Has Dreamers In Her Eyes was a dream to photograph. 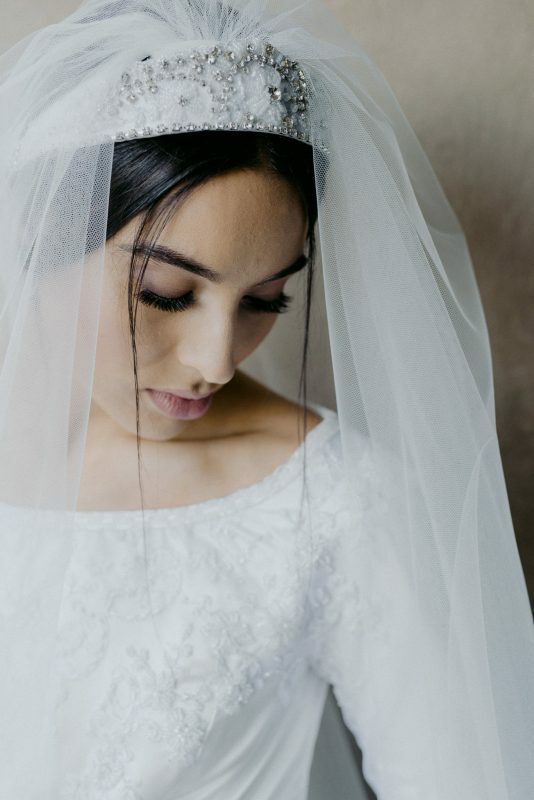 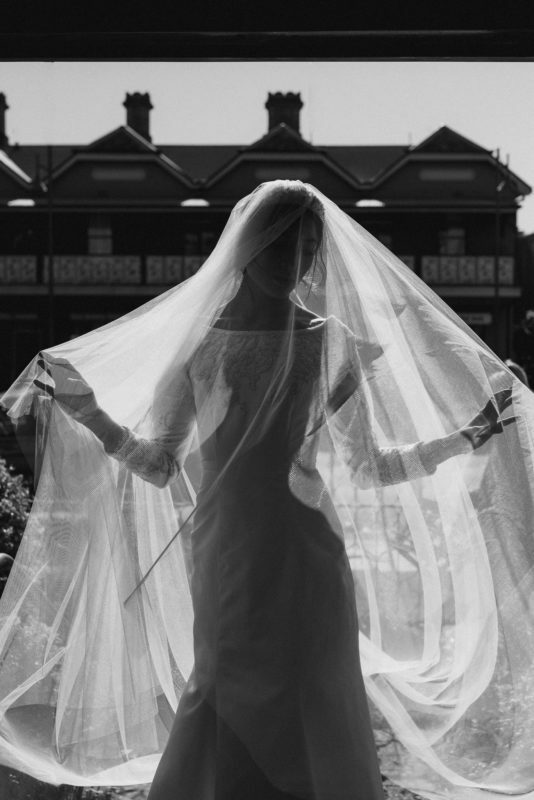 Veils are wonderful (I absolutely love them!!!!) 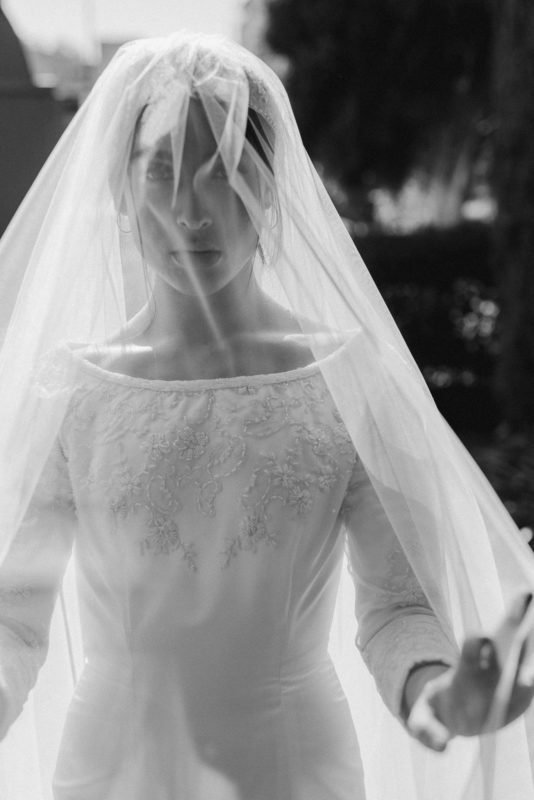 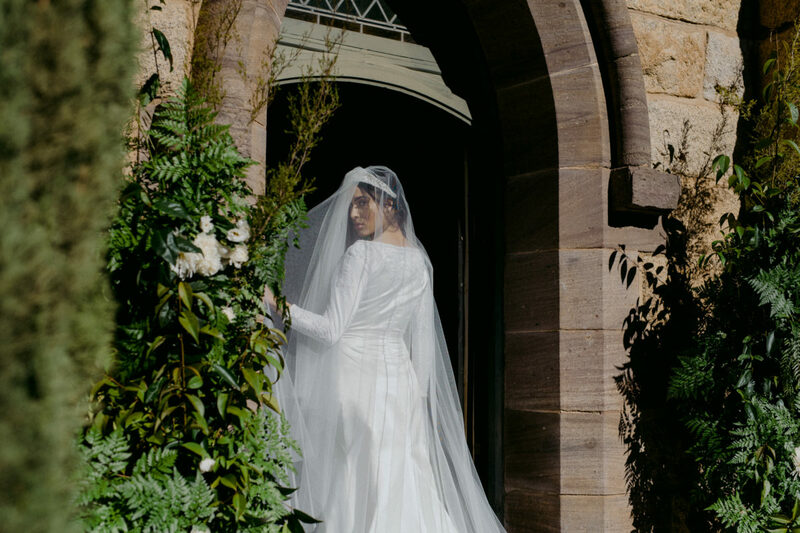 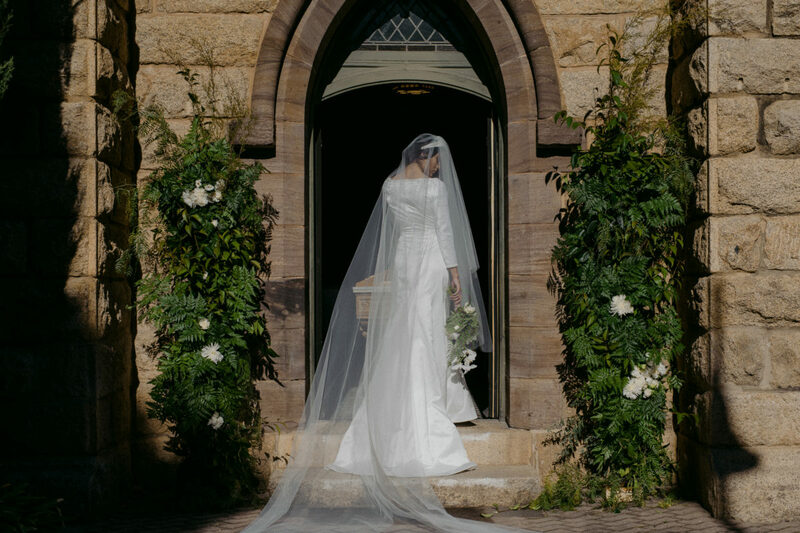 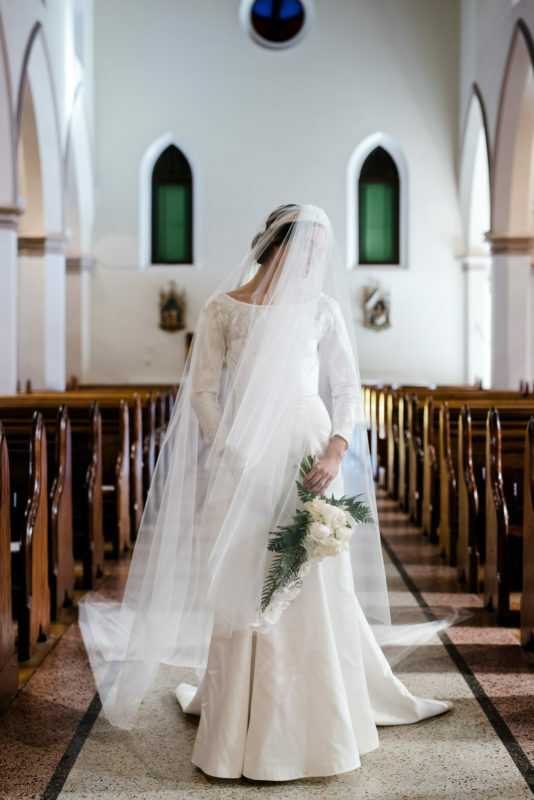 for creating a sense of occasion and drama and this cathedral length beauty was key to creating the ethereal feel of the shoot by using gorgeous winter light. 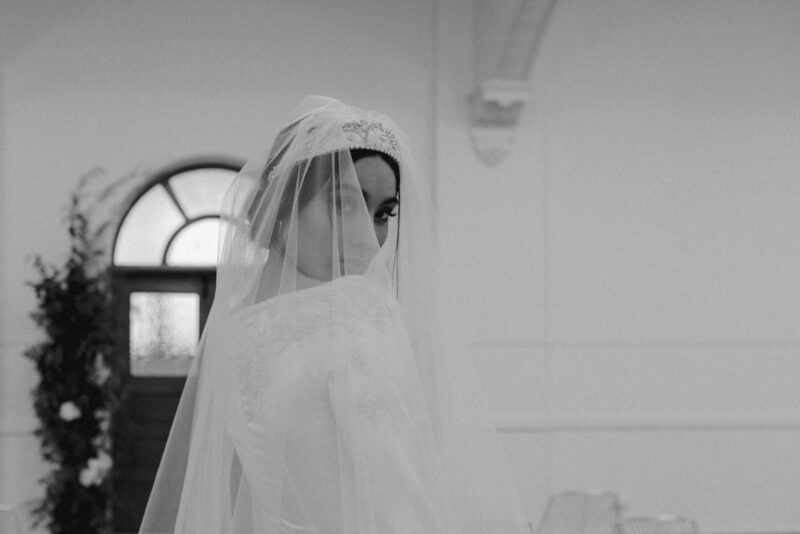 Minimal make up and an elegant up do completed the look on our gorgeous model. 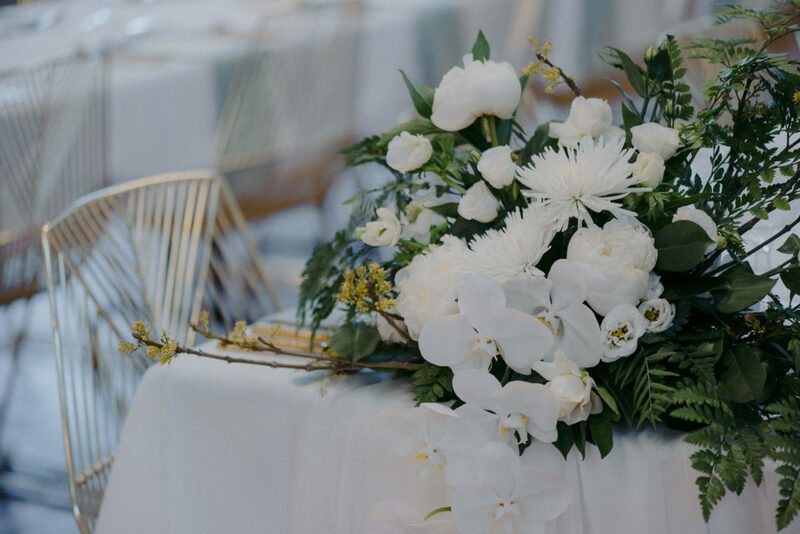 Has this set up got you dreaming about your party or wedding that you are planning? 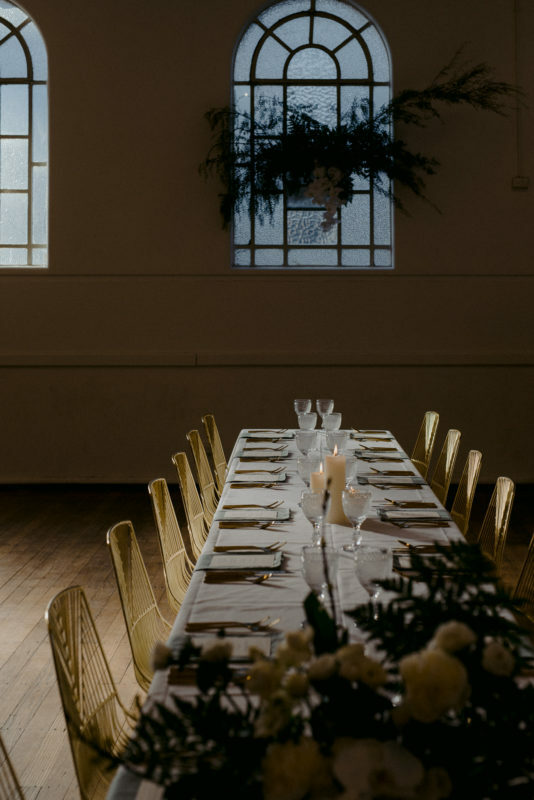 Contact Emily + Victoria at Bang Event Co. today for the scoop. 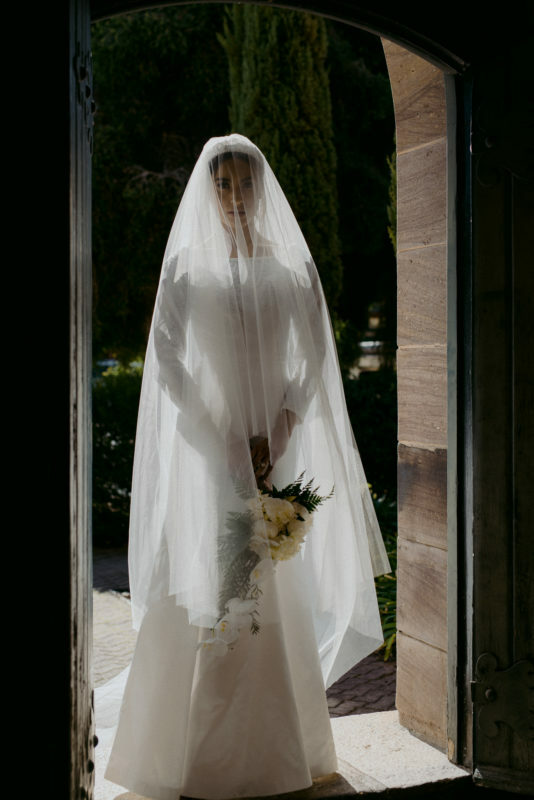 Is this the style you have in mind for your wedding photography then contact me here to arrange a low key chat about plans for your day.